Not to be confused with ethnology or ecology. "Animal Behaviour" redirects here. For the journal, see Animal Behaviour (journal). For the band Praxis' single, see Transmutation (Mutatis Mutandis). Ethology is the scientific and objective study of animal behaviour, usually with a focus on behaviour under natural conditions, and viewing behaviour as an evolutionarily adaptive trait. Behaviourism is a term that also describes the scientific and objective study of animal behaviour, usually referring to measured responses to stimuli or trained behavioural responses in a laboratory context, without a particular emphasis on evolutionary adaptivity. Many naturalists have studied aspects of animal behaviour throughout history. Ethology has its scientific roots in the work of Charles Darwin and of American and German ornithologists of the late 19th and early 20th century, including Charles O. Whitman, Oskar Heinroth, and Wallace Craig. The modern discipline of ethology is generally considered to have begun during the 1930s with the work of Dutch biologist Nikolaas Tinbergen and by Austrian biologists Konrad Lorenz and Karl von Frisch, joint awardees of the 1973 Nobel Prize in Physiology or Medicine. Ethology is a combination of laboratory and field science, with a strong relation to some other disciplines such as neuroanatomy, ecology, and evolutionary biology. Ethologists are typically interested in a behavioural process rather than in a particular animal group, and often study one type of behaviour, such as aggression, in a number of unrelated animals. Ethology is a rapidly growing field. Since the dawn of the 21st century, many aspects of animal communication, emotions, culture, learning and sexuality that the scientific community long thought it understood have been re-examined, and new conclusions reached. New fields, such as neuroethology, have developed. Understanding ethology or animal behaviour can be important in animal training. Considering the natural behaviours of different species or breeds enables the trainer to select the individuals best suited to perform the required task. It also enables the trainer to encourage the performance of naturally occurring behaviours and also the discontinuance of undesirable behaviours. The term ethology derives from the Greek language: ἦθος, ethos meaning "character" and -λογία, -logia meaning "the study of". The term was first popularized by American myrmecologist (a person who studies ants) William Morton Wheeler in 1902. An earlier, slightly different sense of the term was proposed by John Stuart Mill in his 1843 System of Logic. He recommended the development of a new science, "ethology", the purpose of which would be explanation of individual and national differences in character, on the basis of associationistic psychology. This use of the word was never adopted. Comparative psychology also studies animal behaviour, but, as opposed to ethology, is construed as a sub-topic of psychology rather than as one of biology. Historically, where comparative psychology has included research on animal behaviour in the context of what is known about human psychology, ethology involves research on animal behaviour in the context of what is known about animal anatomy, physiology, neurobiology, and phylogenetic history. Furthermore, early comparative psychologists concentrated on the study of learning and tended to research behaviour in artificial situations, whereas early ethologists concentrated on behaviour in natural situations, tending to describe it as instinctive. The two approaches are complementary rather than competitive, but they do result in different perspectives, and occasionally conflicts of opinion about matters of substance. In addition, for most of the twentieth century, comparative psychology developed most strongly in North America, while ethology was stronger in Europe. From a practical standpoint, early comparative psychologists concentrated on gaining extensive knowledge of the behaviour of very few species. Ethologists were more interested in understanding behaviour across a wide range of species to facilitate principled comparisons across taxonomic groups. Ethologists have made much more use of such cross-species comparisons than comparative psychologists have. Until the 19th century, the most common theory among scientists was still the concept of scala naturae, proposed by Aristotle. According to this theory, living beings were classified on an ideal pyramid that represented non-living things (such as minerals and sediment) and the simplest animals on the lower levels, with complexity increasing progressively towards the top, occupied by human beings. In the Western world of the time, people believed animal species were eternal and immutable, created with a specific purpose, as this seemed the only possible explanation for the incredible variety of living beings and their surprising adaptation to their habitats. 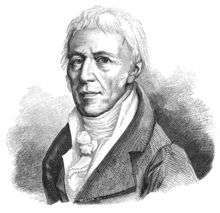 Jean-Baptiste Lamarck (1744 - 1829) was the first biologist to describe a complex theory of evolution. His theory substantially comprised two statements: first, that animal organs and behaviour can change according to the way they are used; and second, that those characteristics can transmit from one generation to the next (the example of the giraffe whose neck becomes longer while trying to reach the upper leaves of a tree is well-known). The second statement is that every living organism, humans included, tends to reach a greater level of perfection. When Charles Darwin went to the Galapagos Islands, he was well aware of Lamarck's theories and was influenced by them. Because ethology is considered a topic of biology, ethologists have been concerned particularly with the evolution of behaviour and the understanding of behaviour in terms of the theory of natural selection. 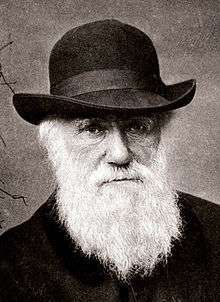 In one sense, the first modern ethologist was Charles Darwin, whose book The Expression of the Emotions in Man and Animals influenced many ethologists. He pursued his interest in behaviour by encouraging his protégé George Romanes, who investigated animal learning and intelligence using an anthropomorphic method, anecdotal cognitivism, that did not gain scientific support. Other early ethologists, such as Charles O. Whitman, Oskar Heinroth, Wallace Craig and Julian Huxley, instead concentrated on behaviours that can be called instinctive, or natural, in that they occur in all members of a species under specified circumstances. Their beginning for studying the behaviour of a new species was to construct an ethogram (a description of the main types of behaviour with their frequencies of occurrence). This provided an objective, cumulative data-base of behaviour, which subsequent researchers could check and supplement. In 1970, the English ethologist John H. Crook published an important paper in which he distinguished comparative ethology from social ethology, and argued that much of the ethology that had existed so far was really comparative ethology—examining animals as individuals—whereas, in the future, ethologists would need to concentrate on the behaviour of social groups of animals and the social structure within them. Also in 1970, Robert Ardrey's book The Social Contract: A Personal Inquiry into the Evolutionary Sources of Order and Disorder was published. The book and study investigated animal behaviour and then compared human behaviour to it as a similar phenomenon. E. O. Wilson's book Sociobiology: The New Synthesis appeared in 1975, and since that time, the study of behaviour has been much more concerned with social aspects. It has also been driven by the stronger, but more sophisticated, Darwinism associated with Wilson, Robert Trivers, and William Hamilton. The related development of behavioural ecology has also helped transform ethology. Furthermore, a substantial reapprochement with comparative psychology has occurred, so the modern scientific study of behaviour offers a more or less seamless spectrum of approaches: from animal cognition to more traditional comparative psychology, ethology, sociobiology, and behavioural ecology. Due to the work of Lorenz and Tinbergen, ethology developed strongly in continental Europe during the years prior to World War II. After the war, Tinbergen moved to the University of Oxford, and ethology became stronger in the UK, with the additional influence of William Thorpe, Robert Hinde, and Patrick Bateson at the Sub-department of Animal Behaviour of the University of Cambridge, located in the village of Madingley. In this period, too, ethology began to develop strongly in North America. Lorenz, Tinbergen, and von Frisch were jointly awarded the Nobel Prize in Physiology or Medicine in 1973 for their work of developing ethology. Ethology is now a well-recognized scientific discipline, and has a number of journals covering developments in the subject, such as Animal Behaviour, Animal Welfare, Applied Animal Behaviour Science, Behaviour, Behavioral Ecology and Journal of Ethology. In 1972, the International Society for Human Ethology was founded to promote exchange of knowledge and opinions concerning human behaviour gained by applying ethological principles and methods and published their journal, The Human Ethology Bulletin. In 2008, in a paper published in the journal Behaviour, ethologist Peter Verbeek introduced the term "Peace Ethology" as a sub-discipline of Human Ethology that is concerned with issues of human conflict, conflict resolution, reconciliation, war, peacemaking, and peacekeeping behaviour. Today, along with ethologists, many biologists, zoologists, primatologists, anthropologists, veterinarians, and physicians study ethology and other related fields such as animal psychology, the study of animal social groups, animal cognition and animal welfare science. The Merriam-Webster dictionary defines instinct as "A largely inheritable and unalterable tendency of an organism to make a complex and specific response to environmental stimuli without involving reason". An important development, associated with the name of Konrad Lorenz though probably due more to his teacher, Oskar Heinroth, was the identification of fixed action patterns (FAPs). Lorenz popularized FAPs as instinctive responses that would occur reliably in the presence of identifiable stimuli called sign stimuli or "releasing stimuli". FAPs are now considered to be instinctive behavioural sequences that are relatively invariant within the species and almost inevitably run to completion. One example of a releaser is the beak movements of many bird species performed by newly hatched chicks, which stimulates the mother to regurgitate food for her offspring. Other examples are the classic studies by Tinbergen on the egg-retrieval behaviour and the effects of a "supernormal stimulus" on the behaviour of graylag geese. One investigation of this kind was the study of the waggle dance ("dance language") in bee communication by Karl von Frisch. Lorenz subsequently developed a theory of the evolution of animal communication based on his observations of fixed action patterns and the circumstances in which they are expressed. Habituation is a simple form of learning and occurs in many animal taxa. It is the process whereby an animal ceases responding to a stimulus. Often, the response is an innate behaviour. Essentially, the animal learns not to respond to irrelevant stimuli. For example, prairie dogs (Cynomys ludovicianus) give alarm calls when predators approach, causing all individuals in the group to quickly scramble down burrows. When prairie dog towns are located near trails used by humans, giving alarm calls every time a person walks by is expensive in terms of time and energy. Habituation to humans is therefore an important adaptation in this context. Associative learning in animal behaviour is any learning process in which a new response becomes associated with a particular stimulus. The first studies of associative learning were made by Russian physiologist Ivan Pavlov. Examples of associative learning include when a goldfish swims to the water surface when a human is going to feed it, or the excitement of a dog whenever it sees a leash as a prelude for a walk. Being able to discriminate the members of one's own species is also of fundamental importance for reproductive success. Such discrimination can be based on a number of factors. However, this important type of learning only takes place in a very limited period of time. This kind of learning is called imprinting, and was a second important finding of Lorenz. Lorenz observed that the young of birds such as geese and chickens followed their mothers spontaneously from almost the first day after they were hatched, and he discovered that this response could be imitated by an arbitrary stimulus if the eggs were incubated artificially and the stimulus were presented during a critical period that continued for a few days after hatching. Imitation is an advanced behaviour whereby an animal observes and exactly replicates the behaviour of another. The National Institutes of Health reported that capuchin monkeys preferred the company of researchers who imitated them to that of researchers who did not. The monkeys not only spent more time with their imitators but also preferred to engage in a simple task with them even when provided with the option of performing the same task with a non-imitator. Imitation has been observed in recent research on chimpanzees; not only did these chimps copy the actions of another individual, when given a choice, the chimps preferred to imitate the actions of the higher-ranking elder chimpanzee as opposed to the lower-ranking young chimpanzee. There are various ways animals can learn using observational learning but without the process of imitation. One of these is stimulus enhancement in which individuals become interested in an object as the result of observing others interacting with the object. Increased interest in an object can result in object manipulation which allows for new object-related behaviours by trial-and-error learning. Haggerty (1909) devised an experiment in which a monkey climbed up the side of a cage, placed its arm into a wooden chute, and pulled a rope in the chute to release food. Another monkey was provided an opportunity to obtain the food after watching a monkey go through this process on four separate occasions. The monkey performed a different method and finally succeeded after trial-and-error. Another example familiar to some cat and dog owners is the ability of their animals to open doors. The action of humans operating the handle to open the door results in the animals becoming interested in the handle and then by trial-and-error, they learn to operate the handle and open the door. In local enhancement, a demonstrator attracts an observer's attention to a particular location. Local enhancement has been observed to transmit foraging information among birds, rats and pigs. The stingless bee (Trigona corvina) uses local enhancement to locate other members of their colony and food resources. A well-documented example of social transmission of a behaviour occurred in a group of macaques on Hachijojima Island, Japan. The macaques lived in the inland forest until the 1960s, when a group of researchers started giving them potatoes on the beach: soon, they started venturing onto the beach, picking the potatoes from the sand, and cleaning and eating them. About one year later, an individual was observed bringing a potato to the sea, putting it into the water with one hand, and cleaning it with the other. This behaviour was soon expressed by the individuals living in contact with her; when they gave birth, this behaviour was also expressed by their young - a form of social transmission. Teaching is a highly specialized aspect of learning in which the "teacher" (demonstrator) adjusts their behaviour to increase the probability of the "pupil" (observer) achieving the desired end-result of the behaviour. For example, killer whales are known to intentionally beach themselves to catch pinniped prey. Mother killer whales teach their young to catch pinnipeds by pushing them onto the shore and encouraging them to attack the prey. Because the mother killer whale is altering her behaviour to help her offspring learn to catch prey, this is evidence of teaching. Teaching is not limited to mammals. Many insects, for example, have been observed demonstrating various forms of teaching to obtain food. Ants, for example, will guide each other to food sources through a process called "tandem running," in which an ant will guide a companion ant to a source of food. It has been suggested that the pupil ant is able to learn this route to obtain food in the future or teach the route to other ants.This behaviour of teaching is also exemplified by crows. Specifically New Caledonian crows. The adults (whether individual or in families) teach their young adolescent offspring how to construct and utilize tools. For example; Pandanus branches are used to extract insects and other larvae from holes within trees. Individual reproduction is the most important phase in the proliferation of individuals or genes within a species: for this reason, there exist complex mating rituals, which can be very complex even if they are often regarded as FAPs. The stickleback's complex mating ritual, studied by Tinbergen, is regarded as a notable example of a FAP. Often in social life, animals fight for the right to reproduce, as well as social supremacy. A common example of fighting for social and sexual supremacy is the so-called pecking order among poultry. Every time a group of poultry cohabitate for a certain time length, they establish a pecking order. In these groups, one chicken dominates the others and can peck without being pecked. A second chicken can peck all the others except the first, and so on. Higher level chickens are easily distinguished by their well-cured aspect, as opposed to lower level chickens. While the pecking order is establishing, frequent and violent fights can happen, but once established, it is broken only when other individuals enter the group, in which case the pecking order re-establishes from scratch. Several animal species, including humans, tend to live in groups. Group size is a major aspect of their social environment. Social life is probably a complex and effective survival strategy. It may be regarded as a sort of symbiosis among individuals of the same species: a society is composed of a group of individuals belonging to the same species living within well-defined rules on food management, role assignments and reciprocal dependence. When biologists interested in evolution theory first started examining social behaviour, some apparently unanswerable questions arose, such as how the birth of sterile castes, like in bees, could be explained through an evolving mechanism that emphasizes the reproductive success of as many individuals as possible, or why, amongst animals living in small groups like squirrels, an individual would risk its own life to save the rest of the group. These behaviours may be examples of altruism. Of course, not all behaviours are altruistic, as indicated by the table below. For example, revengeful behaviour was at one point claimed to have been observed exclusively in Homo sapiens. However, other species have been reported to be vengeful, including reports of vengeful camels and chimpanzees. Altruistic behaviour has been explained by the gene-centred view of evolution. One advantage of group living can be decreased predation. If the number of predator attacks stays the same despite increasing prey group size, each prey may have a reduced risk of predator attacks through the dilution effect. Additionally, a predator that is confused by a mass of individuals can find it more difficult to single out one target. For this reason, the zebra’s stripes offer not only camouflage in a habitat of tall grasses, but also the advantage of blending into a herd of other zebras. In groups, prey can also actively reduce their predation risk through more effective defense tactics, or through earlier detection of predators through increased vigilance. Another advantage of group living can be an increased ability to forage for food. Group members may exchange information about food sources between one another, facilitating the process of resource location. Honeybees are a notable example of this, using the waggle dance to communicate the location of flowers to the rest of their hive. Predators also receive benefits from hunting in groups, through using better strategies and being able to take down larger prey. Some disadvantages accompany living in groups. Living in close proximity to other animals can facilitate the transmission of parasites and disease, and groups that are too large may also experience greater competition for resources and mates. Theoretically, social animals should have optimal group sizes that maximize the benefits and minimize the costs of group living. However, in nature, most groups are stable at slightly larger than optimal sizes. Because it generally benefits an individual to join an optimally-sized group, despite slightly decreasing the advantage for all members, groups may continue to increase in size until it is more advantageous to remain alone than to join an overly full group. Function – How does the behaviour affect the animal's chances of survival and reproduction? Why does the animal respond that way instead of some other way? Causation – What are the stimuli that elicit the response, and how has it been modified by recent learning? Development – How does the behaviour change with age, and what early experiences are necessary for the animal to display the behaviour? Evolutionary history – How does the behaviour compare with similar behaviour in related species, and how might it have begun through the process of phylogeny? These explanations are complementary rather than mutually exclusive—all instances of behaviour require an explanation at each of these four levels. For example, the function of eating is to acquire nutrients (which ultimately aids survival and reproduction), but the immediate cause of eating is hunger (causation). Hunger and eating are evolutionarily ancient and are found in many species (evolutionary history), and develop early within an organism's lifespan (development). It is easy to confuse such questions—for example, to argue that people eat because they're hungry and not to acquire nutrients—without realizing that the reason people experience hunger is because it causes them to acquire nutrients. Food manipulation behaviour by fox squirrels. ↑ "Definition of ethology". Merriam-Webster. Retrieved 9 September 2016. ↑ "Definition of behaviorism". Merriam-Webster. Retrieved 9 September 2016. "Behaviourism". Oxford Dictionaries. Retrieved 9 September 2016. ↑ "The Nobel Prize in Physiology or Medicine 1973". Nobelprize.org. Retrieved 9 September 2016. The Nobel Prize in Physiology or Medicine 1973 was awarded jointly to Karl von Frisch, Konrad Lorenz and Nikolaas Tinbergen 'for their discoveries concerning organization and elicitation of individual and social behaviour patterns'. ↑ McGreevy, Paul; Robert Boakes (2011). Carrots and Sticks: Principles of Animal Training. Darlington Press. pp. xi–23. ISBN 978-1-921364-15-0. Retrieved 9 September 2016. 1 2 3 4 Matthews, Janice R.; Robert W. Matthews (2009). Insect Behaviour. Springer. p. 13. ISBN 978-90-481-2388-9. ↑ Bourg, Julian (2007). From Revolution to Ethics: May 1968 and Contemporary French Thought. McGill-Queen's Press - MQUP. p. 155. ISBN 978-0-7735-7621-6. ↑ Ardrey, Robert (1970). The Social Contract: A Personal Inquiry into the Evolutionary Sources of Order and Disorder. Atheneum. ↑ Bateson, P. (1991). The Development and Integration of Behaviour: Essays in Honour of Robert Hinde. Cambridge University Press. p. 479. ISBN 978-0-521-40709-0. ↑ Encyclopaedia Britannica (1975). Yearbook of science and the future. p. 248. ↑ Bernstein, W M (2011). A Basic Theory of Neuropsychoanalysis. Karnac Books. p. 81. ISBN 978-1-85575-809-4. ↑ Tinbergen, N. (1951). The Study of Instinct. Oxford University Press, New York. ↑ Tinbergen, N. (1953). The Herring Gull's World. Collins, London. ↑ M.D.Breed (2001). "Habituation". Retrieved 9 September 2014. ↑ Keil, Frank C.; Robert Andrew Wilson (2001). The MIT encyclopedia of the cognitive sciences. MIT Press. p. 184. ISBN 978-0-262-73144-7. ↑ Bouton, M.E. (2007). Learning and behavior: A contemporary synthesis. MA, Sinauer: Sunderland. ↑ "Associative learning". Encyclopædia Britannica. Retrieved 9 September 2014. ↑ Hudmon, Andrew (2005). Learning and memory. Infobase Publishing. p. 35. ISBN 978-0-7910-8638-4. ↑ Mercer, Jean (2006). Understanding attachment: parenting, child care, and emotional development. Greenwood Publishing Group. p. 19. ISBN 978-0-275-98217-1. ↑ "Imitation Promotes Social Bonding in Primates, August 13, 2009 News Release - National Institutes of Health (NIH)". Nih.gov. 2009-08-13. Archived from the original on 2009-08-22. Retrieved 2011-11-08. ↑ Hoppitt, W.; Laland, K.N. (2013). Social Learning: An Introduction to Mechanisms, Methods, and Models. Princeton University Press. ISBN 978-1-4008-4650-4. ↑ Galef, B. G.; Giraldeau, L.-A. (2001). "Social influences on foraging in vertebrates: Causal mechanisms and adaptive functions". Animal Behaviour. 61 (1): 3–15. doi:10.1006/anbe.2000.1557. PMID 11170692. ↑ Wilson, Edward O. (2000). Sociobiology: the new synthesis. Harvard University Press. p. 170. ISBN 978-0-674-00089-6. ↑ "Japanese Macaque - Macaca fuscata". Blueplanetbiomes.org. Retrieved 2011-11-08. ↑ The Ape and the Sushi Master. Books.google.com. 2001-12-27. ISBN 978-0-465-04176-3. Retrieved 2011-11-08. ↑ Beyond Revenge. Books.google.com. 2008-04-11. ISBN 978-0-7879-7756-6. Retrieved 2011-11-08. 1 2 3 4 5 Davies, Nicholas B., Krebs, John R., and West, Stuart A. An Introduction to Behavioral Ecology, 4th ed. Oxford: Wiley-Blackwell, 2012. ↑ "A Look at Animal Social Groups." Rathads, Triana. Science 360. R. R. Donnelly, 29 Aug. 2007. Web. Retrieved 22 Apr. 2014. 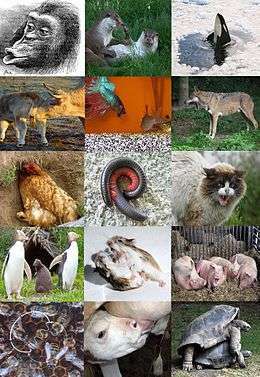 <http://www.sciences360.com/index.php/a-look-at-animal-social-groups-6-23511/>. ↑ Sibley, R.M. (1983) "Optimal group size is unstable". Animal Behavior, 31: 947-948. ↑ Barrett et al. (2002) Human Evolutionary Psychology. Princeton University Press. Klein, Z. (2000). "The ethological approach to the study of human behavior" (PDF). Neuroendocrinology Letters (21): 477–481. Karen Shanor and Jagmeet Kanwal: Bats Sing, Mice Giggle: Revealing the Secret Lives of Animals, Icon (2009). 'Accessible to the lay reader and acceptable to the scientific community' (The Daily Telegraph), 10 October 2009. "Multimedia site about Applied Animal Behaviour topics by Michigan State University professor". knowledgenetwork.alumni.msu.edu. Michigan State University.